Zeltiq and Zerona are two recently approved nonsurgical treatments for fat removal. We are proud to offer Zeltiq at EpiCentre in both Dallas and Plano. Zeltiq is excellent for selective removal of fat from the abdominal wall, flanks, and back. It utilizes a process known as cryolipolysis, which freezes fat. Patients can expect to see a reduction of up to 30%-40% of their fat over the span of a few months. The upsides of Zeltiq are that it is a nonsurgical procedure and patients can leave without significant pain, bruising, or discomfort. For each site treated, the procedure takes 1 hour. The amount of fat that can be removed with Zeltiq, however, is far less than can be removed with liposuction. However, liposuction is an invasive surgical procedure, and patients need to consider this when choosing between Zeltiq and liposuction. 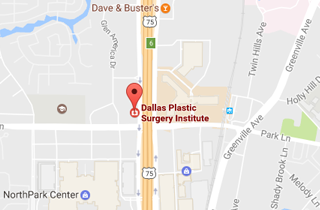 Should you have any questions regarding Zeltiq, liposuction, or any other form of body contouring surgery, please contact Dr. Jejurikar at 214-827-2814.